Storm Warning Training, Natural Disasters, and Bio-Terrorism. Natural Disasters, Storm Warning Training and Hazard Material Awareness/Operations. Officer training,12 hours/year Driver/operator training, 24 hours/year multiple company training, and 6 hours night training. 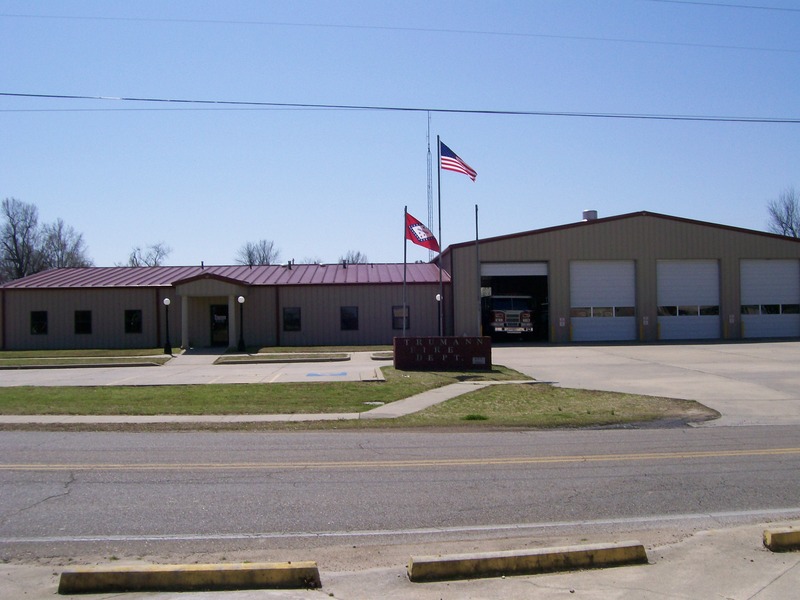 This training is required for Trumann Fire Department to receive ACT 833 money for equipment purchases. In addition, the TFD has to acquire 16 hours/year of approved training through Arkansas Fire Academy. 4 Engine Pumpers, 1 Ladder Truck Pumper, 1 Rescue Truck w/ mini-pumper, 1 Brush Truck, 1 UTV w/tank, 1 Search & Rescue Boat. Specialized equipment: Thermal Imaging Cameras, Fire Finders, and RFD Air Pack Finders (Pack Trackers), Diffibulators. All personnel equipped with protective equipment meeting or exceeding current NAPA standards. TFD operates on a Tone/Voice Paging system to alert firefighters of any type of emergency. TFD can page from the central station, the police station, and units or hand-held radios. TFD is also in charge of the Tornado Warning System for Trumann. TFD conducts pre-fire planning inspections of each commercial, industrial, institutional, and habitational building (over 4-family apartments) at least twice per year.